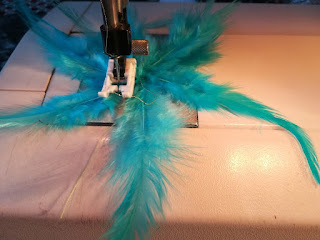 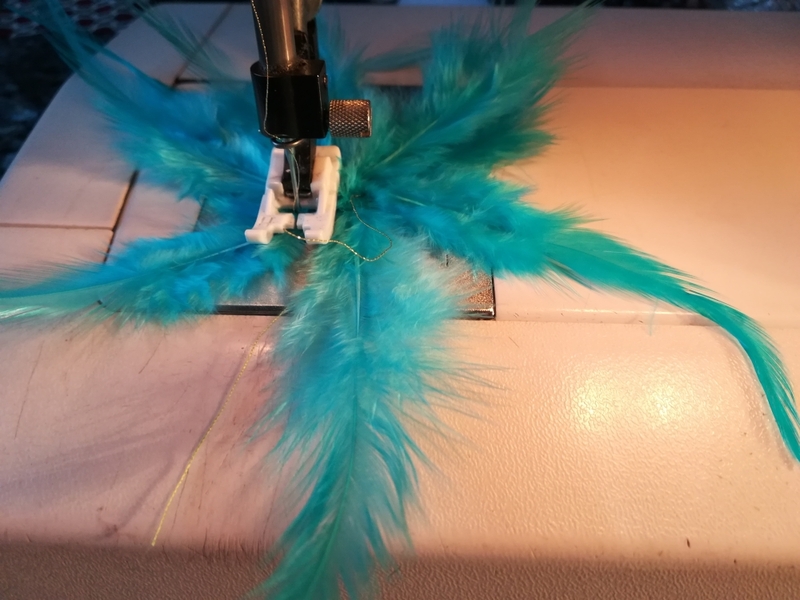 Sew a few feathers with your sewing machine, use golden thread. 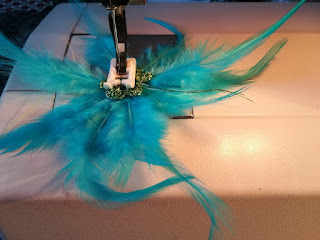 Turn feather to round. 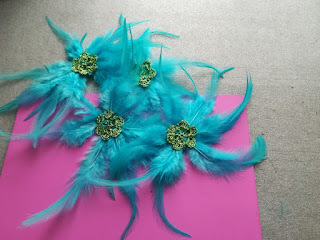 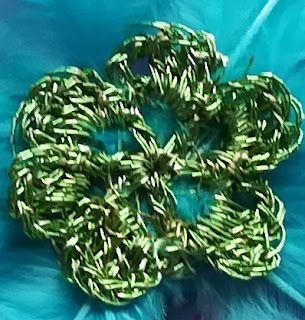 Arrange crochet flower in the middle of sewn feathers, sew on flower.